Music of the Silver Screen, Great White Way and boughs of green highlight the 2014-2015 Arkansas Symphony Orchestra Acxiom Pops Live! Series. Next year is the first of their two-year hiatus from Robinson Center Music Hall (as it gets transformed into a true music hall instead of a civic gathering room). 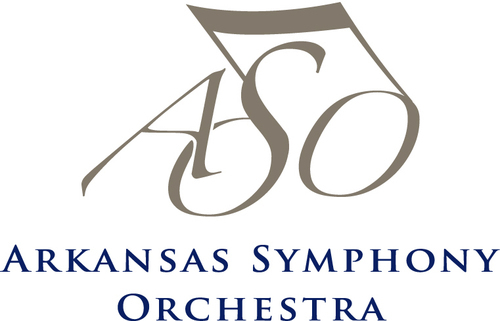 To entice audience members to go along for the journey of the new, temporary location, ASO Music Director Philip Mann has created a lineup of spectacular music performed by powerhouse talent as well as the phenomenal musicians of the Arkansas Symphony Orchestra. The Acxiom Pops Live! Series will be performed at the Pulaski Academy Connor Performing Arts Center. (Think: Maumelle=Masterworks, PA=Pops) The series will kick off on October 4 & 5 with Bill Conti’s Academy Awards. Oscar and Emmy winner Bill Conti (who also is conductor of the Academy Awards orchestra) will lead the ASO in a celebration of songs from the movies. As a composer, Conti has won an Oscar for his score to The Right Stuff and was nominated for Rocky and For Your Eyes Only. Other movies and TV include Private Benjamin, “Dynasty,” “Cagney & Lacey,” “Falcon Crest,” The Karate Kid, “North & South,” and Broadcast News. Another ASO tradition is the Broadway Valentine’s concert. It will take place on February 14 and 15. The music of Broadway and Hollywood will be the framework for an evening of song and dance by Broadway vets Joan Hess and Kirby Ward. Their singing and dancing will remind audiences (or introduce younger audiences to the mastery) of Fred Astaire, Ginger Rogers, Gene Kelly and Eleanor Powell. The classic songs of George Gershwin and Ira Gershwin have stood the test of time and are definitely timeless. The great vocalist Sylvia McNair will offer her take on these standards while accompanied by Jeffrey Biegel on piano. This concert promises to be a feast for the eyes as well as the ears because it will also feature rare video clips, family photos and state-of-the art visuals to help share the story of the Gershwins and their music. All Acxiom Pops Live! concerts will be performed at 7:30pm on Saturday evenings and 3pm on Sunday evenings.